The IPLC M210 is a smart power receptacle that can replace any existing parking stall outlet to reduce power waste in your lot by up to 65%. A combination of a microprocessor and temperature sensors work to lower consumption by only providing power when required based on ambient temperature and wind chill. LED lights tell users the status of the system. How much can your business save with IPLC? The savings report outlines potential savings in your parking lot if paired with an IPLC M210 or IP3 Series Pedestal (with control). Get your free report instantly. The optical data port permits individualized outlet programming. Embedded in weatherproof elastomer block to assure long-term reliability. 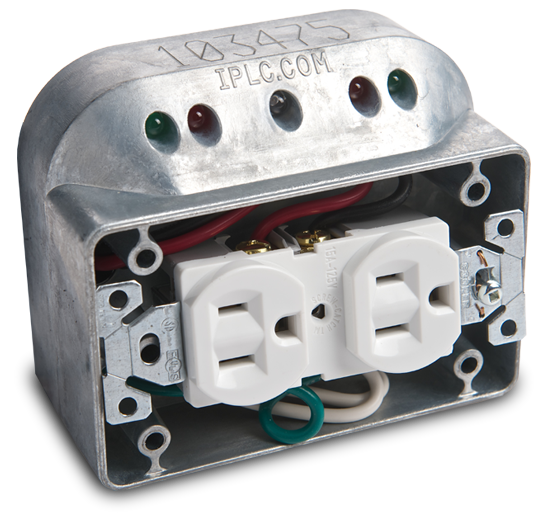 The IPLC outlet prevents circuit breakers from tripping and reduces costly maintenance calls. Red and green LEDs indicate live outlet or block heater problems. Cast metal case ensures durability. The microprocessor and temperature sensors are designed to intelligently deliver the power only when it is needed. 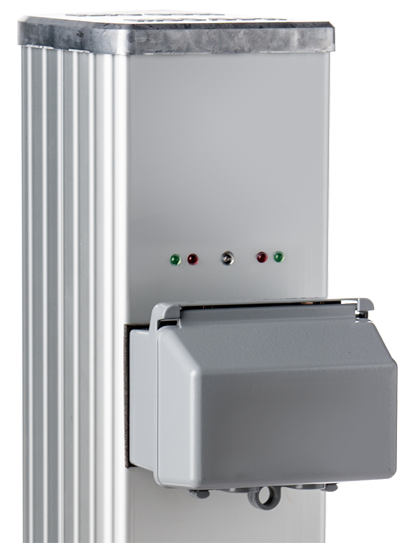 The IP3 Series Pedestal is a modular parking pedestal with a rust-free anodized aluminum tower. The unique mounting system allows for a quick and easy install on a wide range of configurations. Engineered with a sliding enclosure which provides easy access to all connections. The system is working and power is available. The load has been accepted and the equipment is working. Short circuit on your equipment. The load is over the programmed limit.